Molton Brown present the Bursting Caju & Lime Eau de Toilette; a lively, limited edition fragrance inspired by Brazil's national cocktail, Caipirinha. 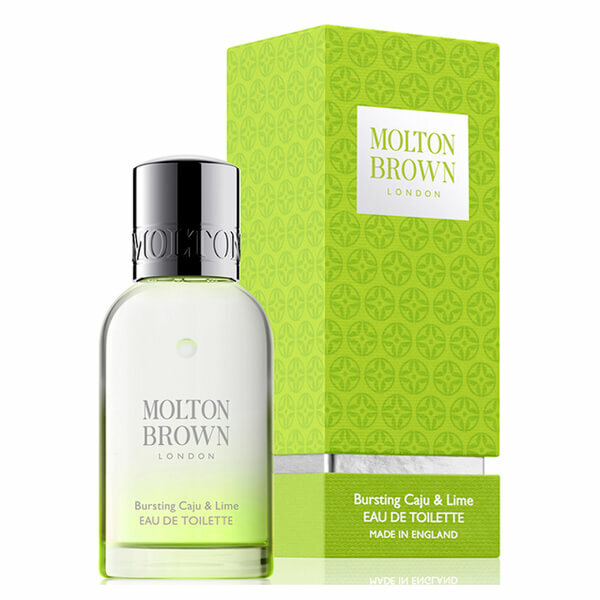 Opening with zesty top notes of Lime, Orange, Grapefruit and Lemon, the EDT is enhanced by Spearmint, Clary Sage and Cypress before succumbing to a base of Musk and Oakmoss. Presented in a vibrant gift box. Top Notes: Lime, Grapefruit, Lemon, Orange. Heart Notes: Spearmint, Clary Sage. Base Notes: Galbanum, Musk, Oakmoss.